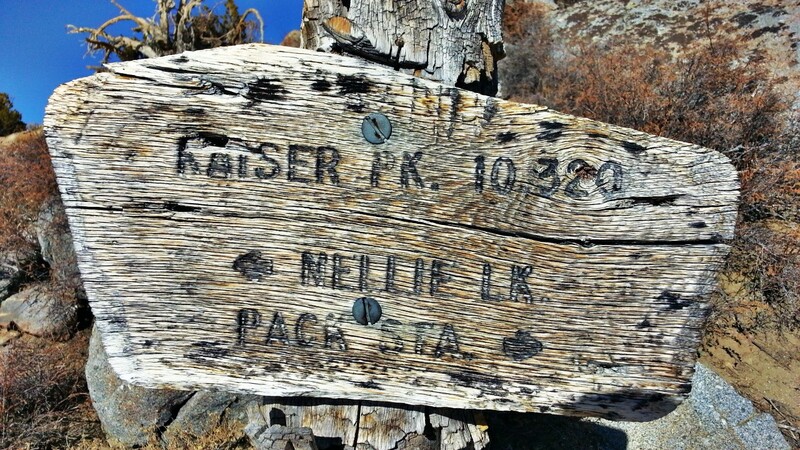 Kaiser Peak | Trace B.
I was so bummed when I got sick last week so early in the year. You know how it is, starting the new year fresh, excited to start logging miles consistently and then BOOM – lots of time off fighting some disgusting bug that wants to take over your body. For the first few days I just laid in bed fighting fever and body aches and when that subsided, the phlegm and congestion took over. Inside I was furious and seriously worried about how this could affect my 50K in early March because it seemed like everyone who was getting over the flu (or whatever it is/was), had been fighting it for over a month. Thank goodness I started feeling better early this week – everyday I feel like I am improving. I am not all that furious after all – I guess it could have been worse getting sick closer to my race and that is what I keep telling myself. After a week of no running, I finally was able to lace up and get back at it. 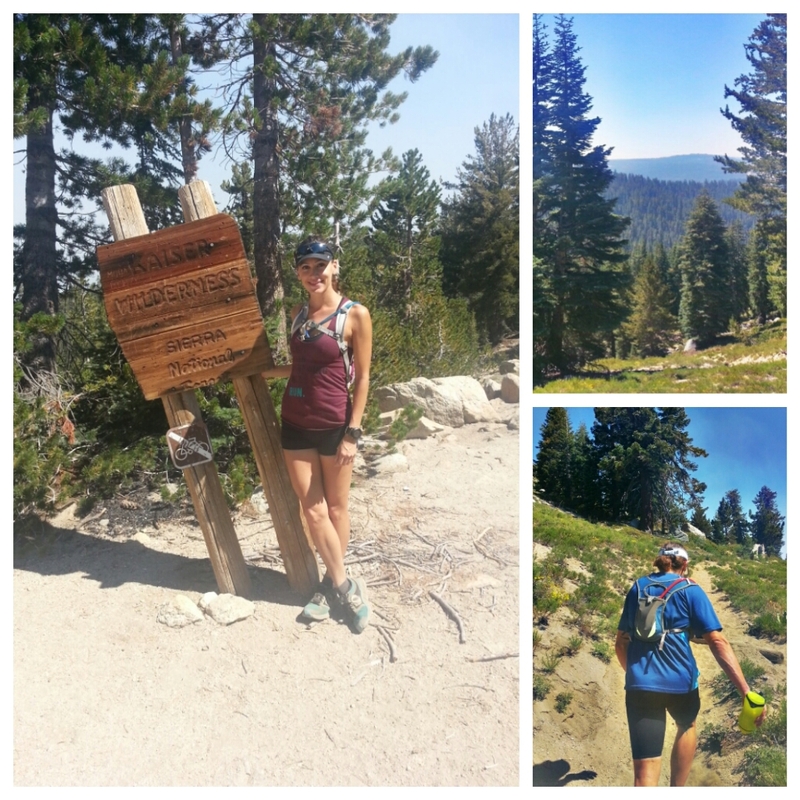 Today I logged 13.1 miles in the Kaiser Wilderness. It was supposed to be a 19-mile loop starting at Upper Creek (horse stables) through the peak and then around Billy Creek before heading back to the stables, but it didn’t quite work out that way. No big deal. About a mile or so after passing Kaiser Peak, it became impossible to recognize the trail that would take us to Billy Creek. It was nearly 2pm and falling in and out of knee deep snow (ouch) searching for it no longer seemed like a good plan, so we turned back around and finished the way we had hiked in. Really great day. The Aspen Fire near Huntington Lake prevented D and I from running the Kaiser Wilderness trails to Kaiser Peak, so with the suggestion of a local horseback tour guide at Deer Creek, we ran other nearby trails not considered a part of Kaiser Wilderness and ended up at Potter’s Pass and still had a great time! It’s been a couple of weeks since Javelina Jundred and I could still sit here with you and talk about it for hours if you’d let me. The whole experience was special and my heart is still fluttering with excitement and appreciation knowing that I will be able to get back out there and try again. Sometimes I do question whether or not I could have continued on those last 9 miles but then I realize that a lot of time has passed since then and some of those dreadful moments are less vivid now including my feet which have pretty much healed up (except the loss of a toenail or two). I have to remind myself that I did everything I thought I could do out there that day and then I move on. Over it. Here with Javier P. at Wilson about to head down the Manzanita Trail.